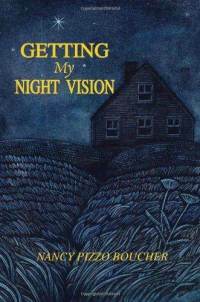 Getting My Night Vision is a mother's collection of essays, poems, stories and notes that reflect the author's painful journey in helping her son fight his mental illness. The poetry is touching and insightful and clearly convey deep sadness and anguish but also hope and the power of a mother's love. This is a short book but the nature of the content is reflective and emotional, so I spaced out my reading throughout several days. The author's memories are also about the losses in her life—the death of her youngest brother, her mother, and the impact of her son's mental illness on her and their family. This is not a book that explains mental illness but rather one woman's very personal thoughts about her son's illness, her conviction to help him, and her gems of wisdom about coping. Interestingly, the author initially doesn't states what her son is suffering from, only calling it a major mental illness. Toward the end of the book she states that he was given several diagnoses, one of which was schizo-affective disorder, but she advises not to spend time avoiding or worrying about diagnosis but rather “spend time trusting and communicating what you observe and what you know intuitively about your loved one”. Reading this book and also Ben Behind His Voices, one of my favourite memoirs of 2010 about a mother's fight to help her son who is eventually diagnosed with schizophrenia, has raised my appreciation of what families who have a member with a major mental illness go through. The words in Imagine If You Had No Boundaries (p.91), showed how the author came to understand how frightening it was for her son to experience this mental illness. She says, “Everyone who tries to help someone experiencing paranoia needs to recognize and remember that they are acting defensively, not offensively. This is a very important distinction.” This stood out for me. Writing these thoughts and beautiful poems must have aided the author to cope with this crisis in her family but also to convey to others that mental illness is to be understood and the person suffering from it to be unconditionally loved no matter how difficult. It helped me to appreciate my own motherhood. If you know of a family who is suffering because of mental illness, this book will undoubtedly make them feel they are not alone.